KIA 'Pincanto' announced. An all pink KIA Picanto for lovers of all things pink. 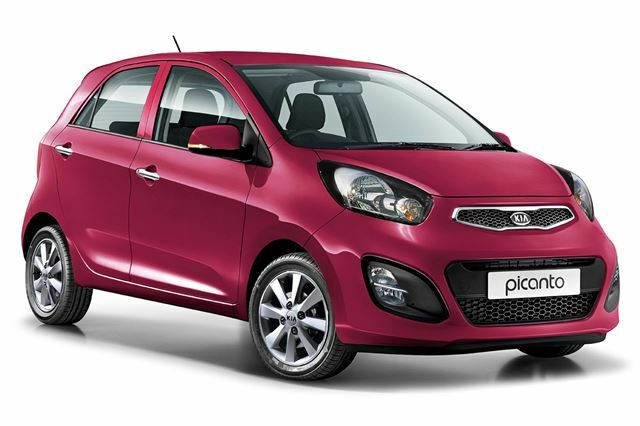 ‘Fuchsia Blush' is now available on the KIA Picanto 5-door model grades ‘2' and ‘3' at just £445. A new Picanto ‘White' is also now available as a 3-door model. This high-tech addition to the Picanto three-door range, replaces top-spec ‘Halo' and ‘Equinox' models. The new top of the range ‘White' is fitted with five-spoke 15" alloy wheels, Engine Start/Stop with Smart Entry System as well as Bluetooth and automatic air conditioning. Standard features also include the convenience of reversing sensors. Outside, the black tiger-nose grille sports a quirky red surround. On the inside, enjoy the leather trim steering wheel and steering wheel mounted controls, as well as a ‘Hollywood style' vanity mirror with a three-stage illumination feature sequence and ambient LED lighting. The unrivalled Picanto ‘White' prices start from just £11,745 for the 1.25 84bhp 5-speed manual ISG model and £12,345 for the 1.25 84bhp 4-speed automatic, with both models carrying a Thatcham insurance rating of 11. As with all new Kia models, the Picanto comes with the industry-leading and fully transferable seven year warranty. For more information on the range, please visit www.kia.co.uk.